Connecting Central Dalmatia to North America: Toronto to Split Direct in 2019! 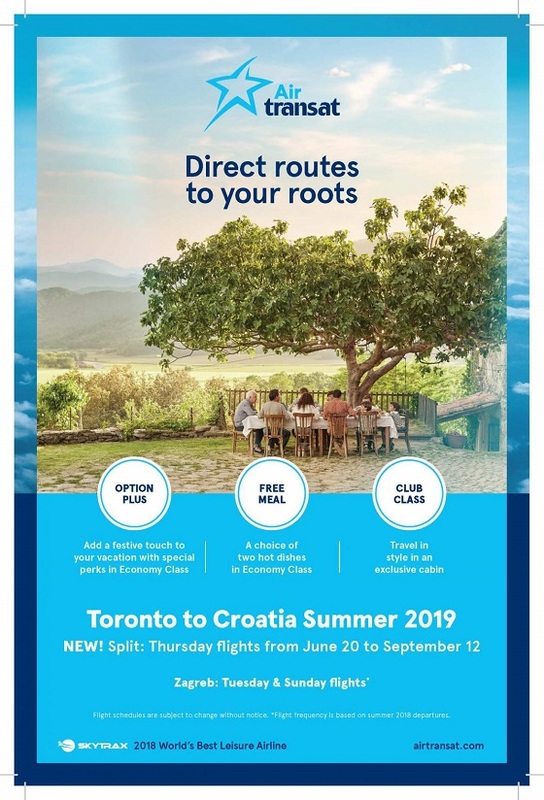 Great news for Canadian visitors to Central Dalmatia next summer, both tourists and the sizable Croatian diaspora, as Air Transat has announced it will be flying direct from Toronto to Split every Thursday from June 20 to September 12. The direct link is welcome news for the increasing number of tourists visiting Central Dalmatia from North America, and it comes at a time when Split is expected to welcome more than 3 million passengers a year for the first time in its history. The huge rise in tourist numbers has necessitated upgrades in infrastructure, and work is currently ongoing with the new airport terminal in Split, which is scheduled to open in July 2019. For more information about Split, click here. An important event for tourism professionals in Central Dalmatia later this month, as the second edition of Split B2B will take place once again at Hotel Cornaro. 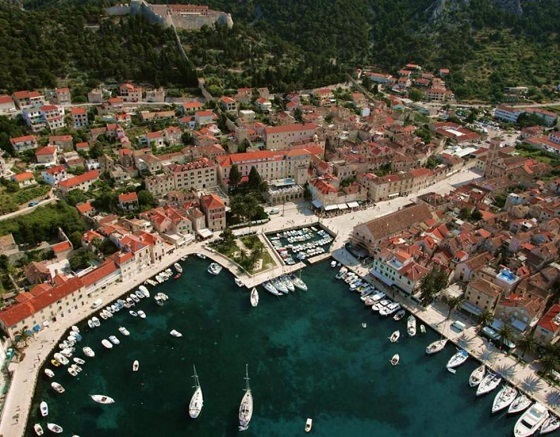 The event, organised by the Association of Destination Management Companies of Dalmatia, brings together specialist agencies from around the world who offer niche tourism in neighbouring countries to Croatia, but do not yet operate in Croatia. The event begins with a 2.5 day familiarisation trip of Central Dalmatia, visiting many of the top sites on the mainland and islands, before the key event – workshops with Croatian specialist agencies operating in that niche, who are looking for more international partners. Last year’s event focused on the gourmet sector, with the international agencies taken on a gourmet tour of Omis and Neretva, the island of Brad and Kastela. This year’s niche focus will be on youth and heritage/archaeological tourism, and Split B2B will run from October 17-20. Eternal Solin, the ancient town of Salona, has a rich Roman heritage, and its outstanding ruins are the prime attraction of this pretty little town next to Split. But while Solin has a majestic and well-documented history, it also has a very vibrant present, and several of its citizens have achieved great things in the sporting arena. The Solin Tourist Board has celebrated those sporting achievements against a backdrop of the numerous attractions of Solin the destination in a new promotional video, which you can see below, as well as learning a little more about the modern heroes of Salona. Dina Levacic, Croatia’s famous marathon swimmer who is the second woman in history to complete the triple crown – the Manhattan Island Marathon, the California Gulf from Catalina Island to San Pedro, and La Manche – in 90 days. In August 2018, Dina swam the 48-kilometer long Molokai Channel to Oahu Island. Judo star Ana Viktorija Puljiz, the European Cadet Champion and winner of the Drazen Petrovic Award, which is given to gifted young athletes and teams in both competitions for outstanding sports results and sports development. Sports shooter Marija Marovic, who holds the country’s record for air pistols in individual and team events, is a finalist in Europe and is a Croatian Olympian. Lovre Kalinic, goalkeeper of the Croatia national football team, won the silver medal at the 2018 World Cup in Russia. Marijan Stipanov is an avid cyclist and marathon runner, and Stipe Rezic is a young entrepreneur and innovator who created mushroom coffee. Rezic won 1st place at the “Global Opportunities Beyond Borders” event and was nominated for “StartBootCamp” in Rome. To learn more about Solin, click here.